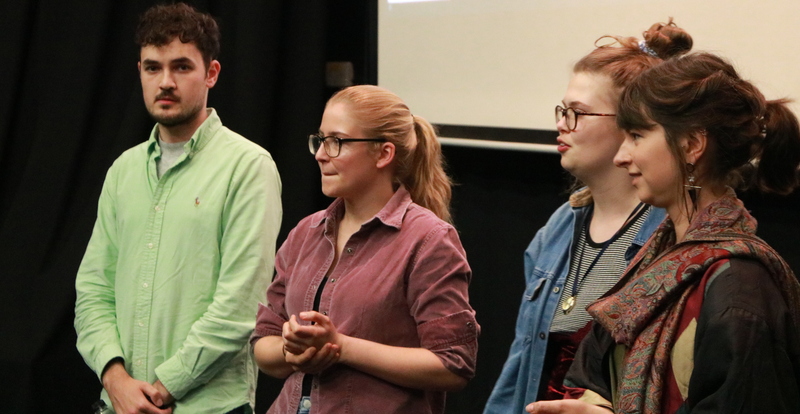 TRANSPARENCIES 2018 celebrated the creativity and initiative of our students, how they gave of themselves and collaborated to be able to realise the films they wanted. This year we awarded five prizes, each with distinct criteria. Professor Hugh Brody awarded the Hugh Brody Visual Anthropology Prize. 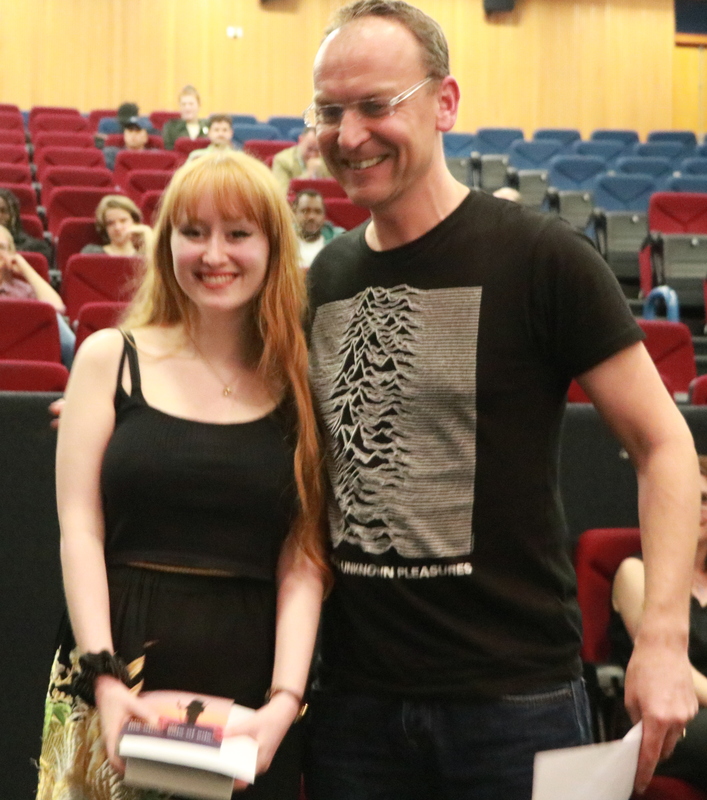 Professor Paul Allain awarded prizes for films that uniquely revealed presence and embodiment. Yasmin Fedda awarded the New Horizons Prize. A Public Engagement Prize in memory of Lynn Bicker and Martin Ripley was awarded by Joe Spence. 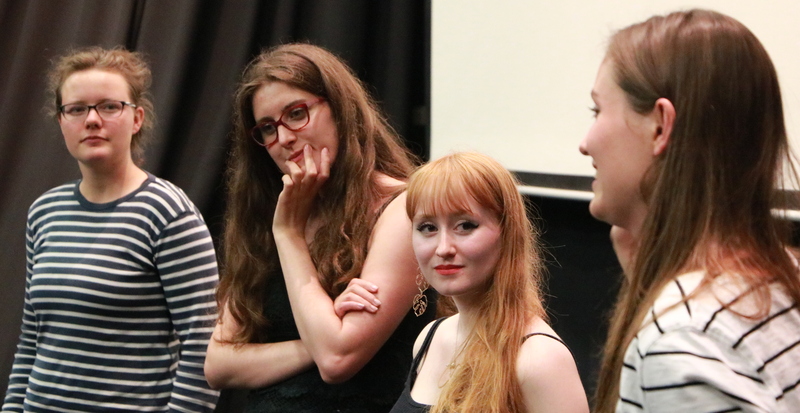 Visiting Alumni, Charlotte Austwick, Hannah Evans and Alice-Amber Keegan awarded the Alumni Audience Award. You can read more about the prizes and what stood out in the films that were awarded below. The prizes give recognition to exceptional projects, but they also extend the audience and reach of the conversation the films initiate as audio visual gifts. The alumni lunch was an opportunity for current students to hear from alumni what new horizons are open to them. You can view below the video messages from Christiane Howe in Australia, Ruth Krause in Germany and Soffia Kristinsdottir in Costa Rica. The cultural association of film with entertainment means we are very used to consuming documentaries and then moving onto the next one. While the documentary may seem to be the end result of the process of the filmmaker, for us the viewing can be the start of a journey. All the films screened today have emerged out of unique personal histories and intentions. They are the media manifestations of personal research journeys that gives us cause for conversation and reflection. 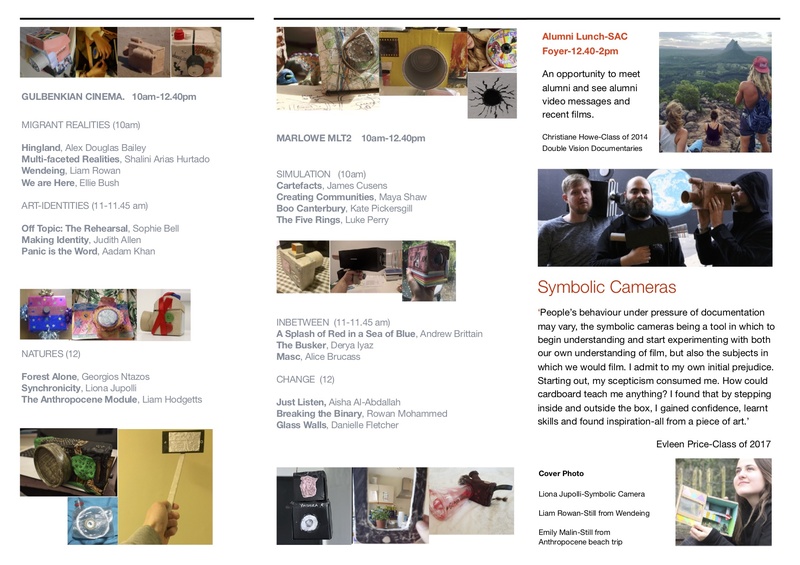 The symbolic cameras (see below in brochure) was one artistic way that the students communicate this is in a material form. They speak to the issues and concerns addressed in the films while revealing or hinting at the personal intentions of the filmmakers. That is why it is really important to see the films as the start of a conversation, as an audio-visual gift to us and wider audiences, to reflect and learn more about our place in the world and our aspirations for the world we want to live in. The Q and A after each series of films was an opportunity to start that conversation by exploring how the films spoke to each other. Another opportunity are the interactive websites in which you can learn more about the intentions of the films and how they are located within visual anthropology and social anthropology more broadly. The Public Engagement prize is explicit recognition of the interactive website and its ability to reach out to wider audiences. To view the films and learn more about the projects through the interactive websites click on the links below. We encourage you to make comments on their websites to reciprocate the audio-visual gift. 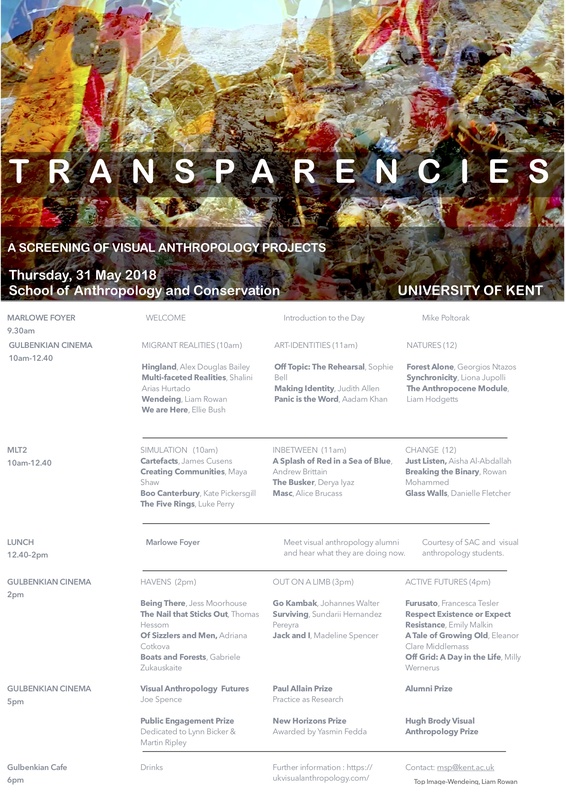 With thirty one films Transparencies 2018 was the largest screening of visual anthropology projects in the long history of visual anthropology at Kent. 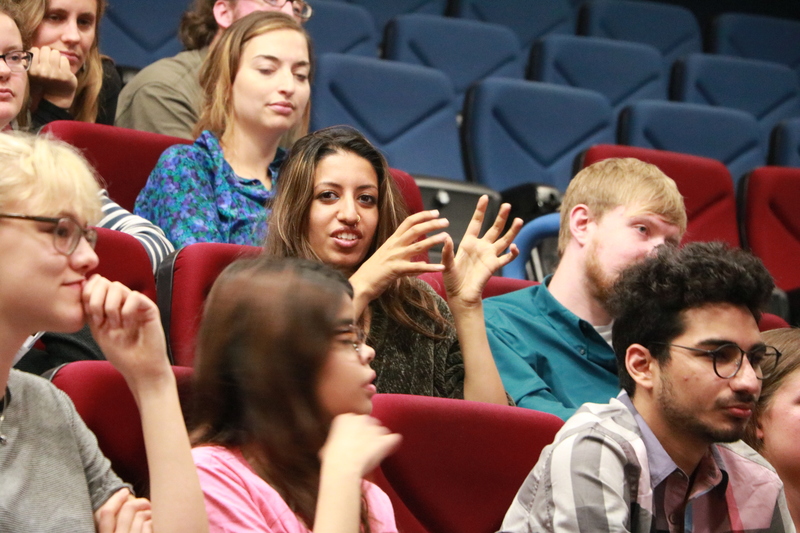 It necessitated two parallel screenings in the morning, in the Gulbenkian Cinema and Marlowe Lecture Theatre 2. 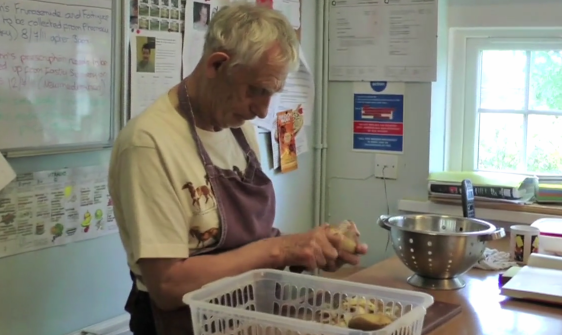 Our first series of films explored the challenges of migration and the current refugee crisis. For Alex Douglas Bailey her Jamaican father is the focus of her exploration. Shalini Arias Hurtado travels to Berlin to try and meet refugees in the Tempelhof refugee centre. Ellie Bush travels to the Calais jungle refugee camp to learn about the life of volunteers. Liam Rowan takes us on a powerfully visual journey, pregnant with repeating motifs, that force reflection on our engagement with migration as we join Liam on a walk to Dover. Images from WENDEING, were used for our poster above. These three films use artistry as their methodology or focus of exploration. Sophie Bell’s focus is her sister’s band and their inspirations. Judith explores sexuality and art practice in a creative and inspirational way. Aadam Khan richly produced soundscapes and pointed interviews encourage us to better feel and understand anxiety. Nature is explored in three very distinct ways in these three moving films. In Forest Alone, Georgious Ntazos, makes us aware of the forest in and around campus and the politics and effects of coppicing. What do the trees think is his underlying question? Liona Jupolli narrates a mystical exploration into her experience of Jungian synchronicity. 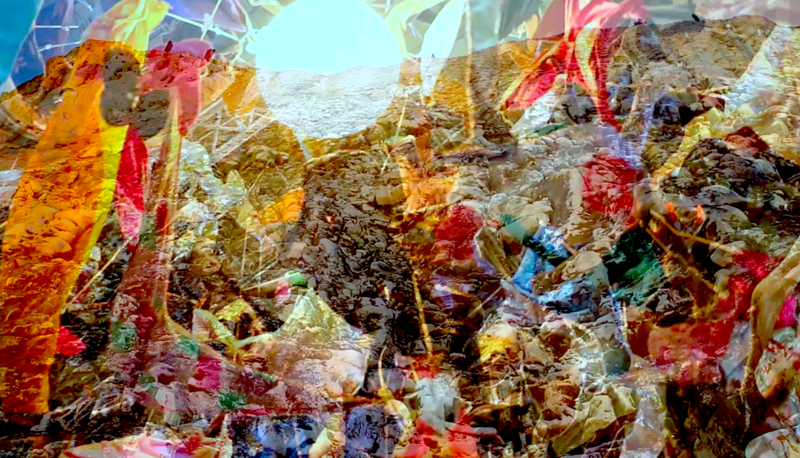 The future of the planet and climate change is explored through the motivations of Miguel Alexiades’ Anthropocene module, in Liam Hodgetts film. From the mysteries of mapping, via the creation of community in Margate and ghosts in Canterbury to the five rings of combat, these films take us on a journey of simulation in and around Canterbury. Alice Brucass during the Q and A. These three films that encourage our appreciation of the inbetween. Andrew Brittain, explores the political situation in his native Ashford, Derya Iyaz, goes on a journey to Whitstable with a local busker and Alice Brucass counterposes two different ideas of masculinity. These films demand our attention to their desire for change. 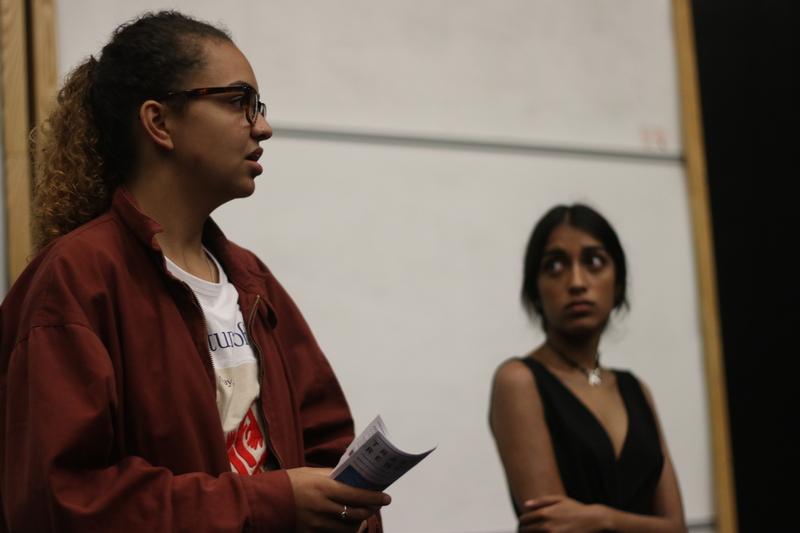 Just Listen is Aisha Al-Abdallah’s creative exploration of young women of colour, their voices are powerfully critical and emotive. Rowan Mohammed asks for an appreciation of what it means to be non-binary. 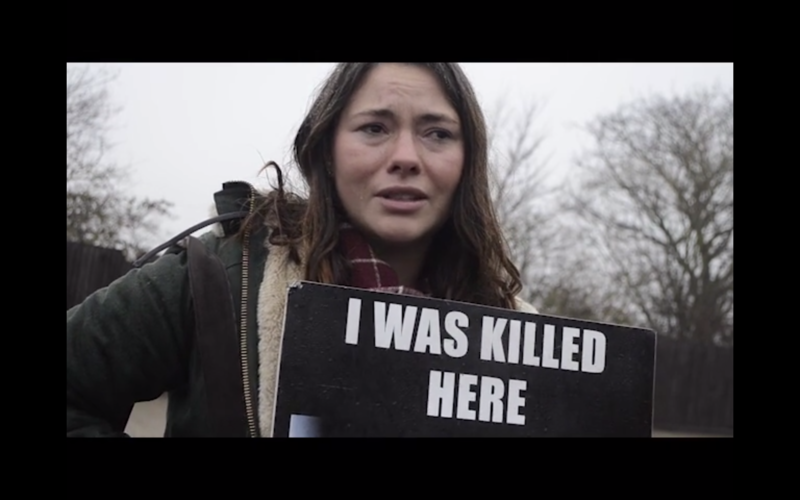 Danielle Fletcher, takes us on her journey of transformation to her new found activism. 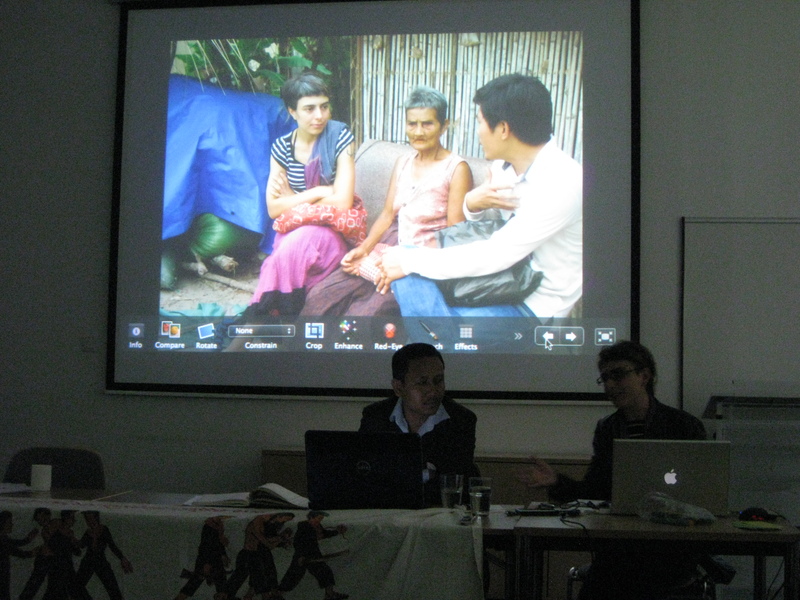 We were very happy to welcome alumni to the lunch and to screen messages from visual anthropology alumni. Our current students wanted to know where current alumni are and how they got into their current jobs. Ruth Krause now works at a video journalist, Tv reporter and producer for DW, the German International TV station. She mainly covers environmental topics in Latin America and Africa. Soffia Kristinsdottir. won the Hugh Brody runner up prize in 2016 for ‘Asocial‘. She sends her message from the Pura Vida Hostel in Costa Rica. 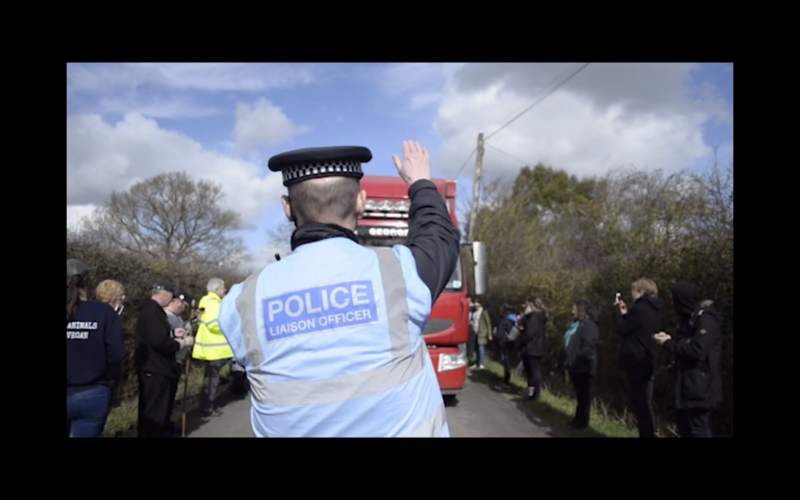 Christiane Howe’s film, the ‘Unification Movement‘ received a special commendation at our Inter-Reflexions event in 2014. She is now co-director of ‘Double Vision Documentaries‘ a company created with her twin sister that focuses on women’s rock climbing. They are currently travelling the world, filming and producing as they go. A local gaming store is the focus of Jess Moorhouse’s loving examination of Canterbury’s haven of gaming. Thomas Hessom meets Japanese young people and journeys with them to understand their idea of home. 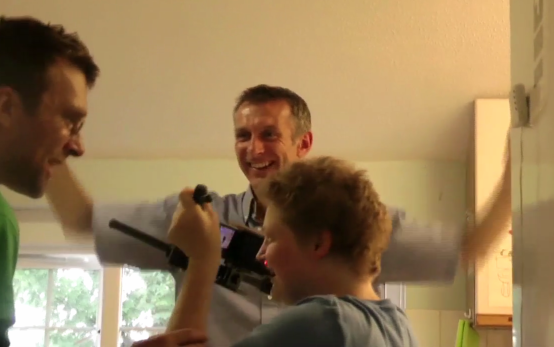 Cafe des Amis will never be same after you go behind the scenes with Adrian Cotkova’s roving camera. Gabriele Zukauskaite’s focus is home education, we meet those who were home educated, those who home educate and those who intend to. 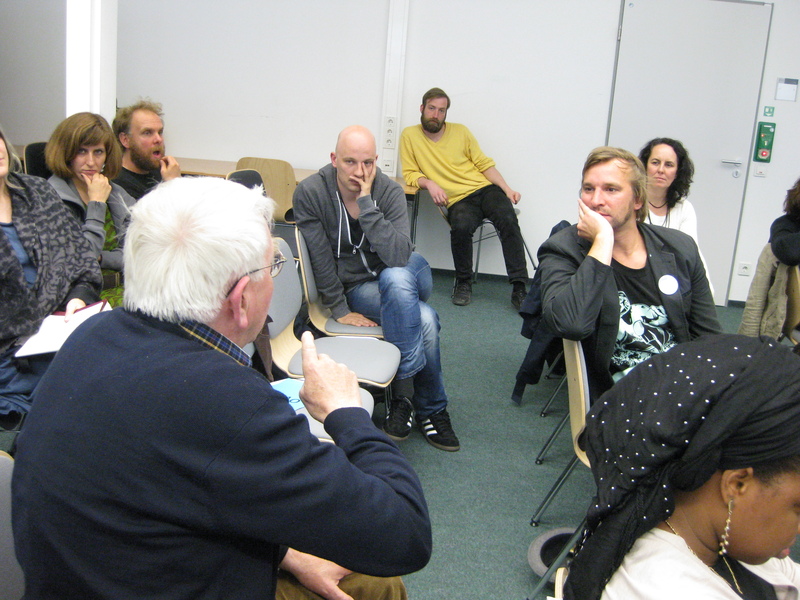 Johannes Walter (middle right), asks question. Ameera of Aisha Al-Abdallah’s “Just Listen’ contributes to discussion. These films go out on a limb. 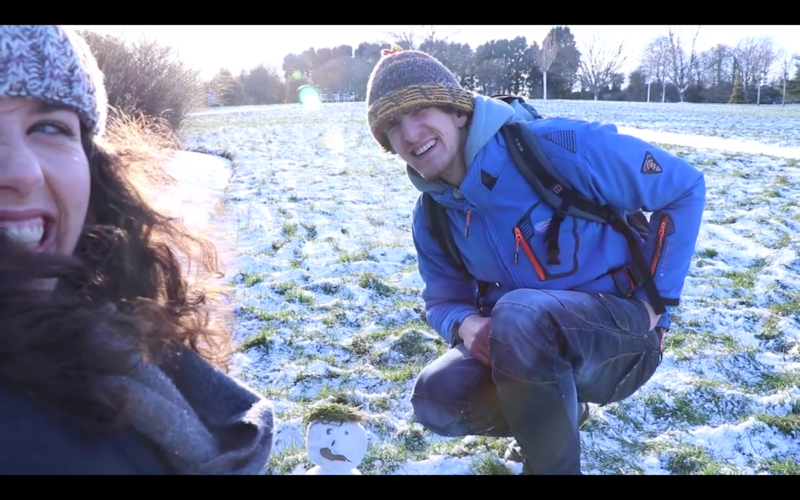 Johannes Walter travels to the Orkney Islands, to reconnect a Ni Vanuatu woman to her family with photos and video of her family. Surviving is powerfully truthful, ironic, cathartic and inspirational. It confronts us with our assumptions ‘We are all suffering, let’s be honest’. Madeline Spencer tries to understand her brother and mend the relationship in this moving journey to the past. We are left uplifted. Aisha Al-Abdallah (Just Listen) centre asks question during Q and A. Active Futures Q & A. L to R. Milly Wernerus, Ellie Middlemass, Francesca Tesler and Emily Malkin. These four films subtly suggest solutions to the challenges of being active in the future. Furusato focuses on a Zen Buddhist Japanese temple in London. Emily Malkin takes us on a deeply personal journey of activism in three parts, each a different facet of our need to act for change. Ellie MacPherson uses the camera to better know her grandfather, whose ailing eyesight means he will never see the film. Milly Wernerus takes us to a snowy forest to understand the joys and possibilities of living off-grid. Current SAC PhD student Joe Spence showed a trailer and gave an update on ‘From the Cubby with Love’ which won the Audience Prize last year in last year’s Caremotions. He then awarded the prize for public engagement in memory of Lynn Bicker and Martin Ripley, one of the subjects of ‘From the Cubby with Love’. This award was funded by Alan Bicker. Ellie MacPherson receives the Prize on behalf of Maddie Spencer. Shalini Arias Hurtado constructed the trophy. Danielle Fletcher receives the Public Engagement runner up prize for her interactive website and film, Glass Walls. Johannes Walter receives the Paul Allain Prize. The prize was constructed by Danielle Fletcher. ‘This film won because of its capacity to shift time and space as film can do as well as its moving content. Its main focus was on a young mother looking at photos of her extended family, taken by Johannes, now separated by years and 1000s of miles – from Vanuatu to Orkney. Johannes, as filmmaker, was the catalyst that collided these things together. The impact on the film’s protagonist was extraordinary for how she reacted: laughing, crying, swearing, gasping, often all at the same time. 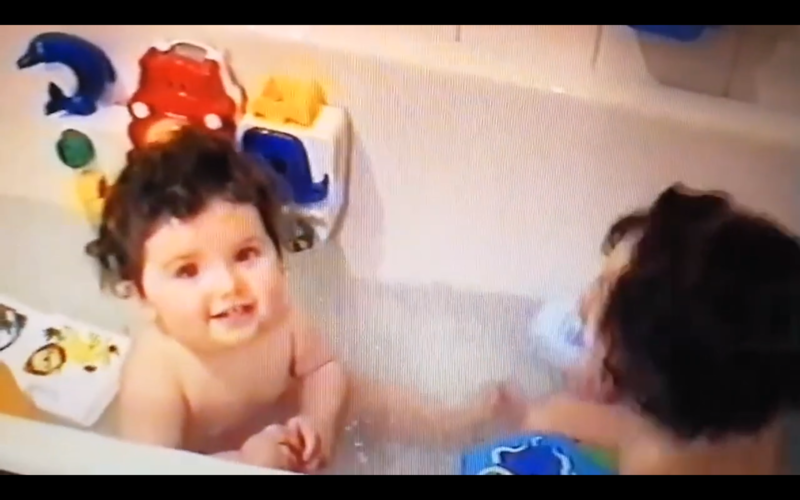 The camera just watched, impassive. Her reactions revealed the pain of separation, the joy of discovery, the celebration of memories which coursed through her body and voice as she grabbed at and drunk in the photographs, presented to us witnesses by being overlayed on to the film. Although not technically perfect, it demonstrated the power of the simplicity of allowing a remarkable human story to be told through film.’ (Paul Allain). The Paul Allain Prize was constructed by Danielle Fletcher to represent the criteria of the award. Liona Jupolli receives the Paul Allain Runner Up Prize. 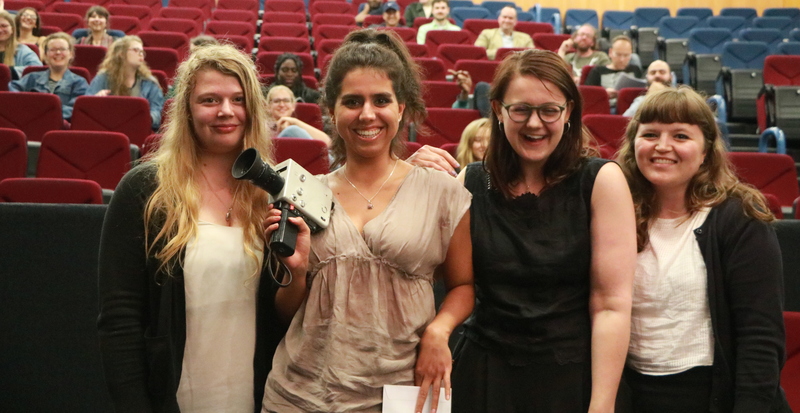 The New Horizons prize was awarded by the award-winning documentary filmmaker Yasmin Fedda, whose films have focused on themes from Edinburgh bakeries to Syrian monasteries. Her films have been BAFTA-nominated and screened at numerous international festivals including Sundance. Her undergraduate background in anthropology and master’s training in visual anthropology at Manchester was inspiring to many students. 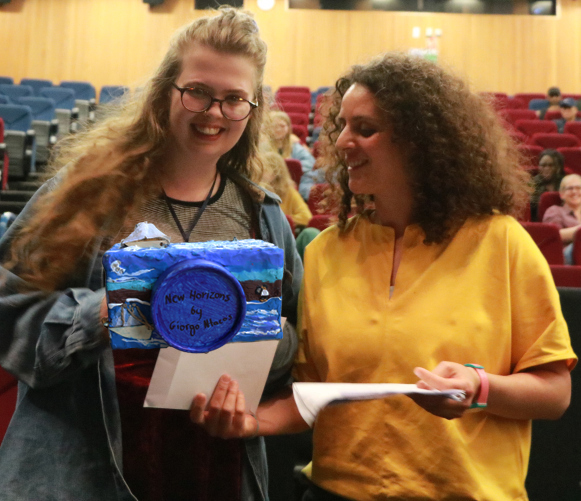 Jess Moorhouse receives the New Horizons Prize from Yasmin Fedda. The trophy was constructed by Georgios Ntazos. 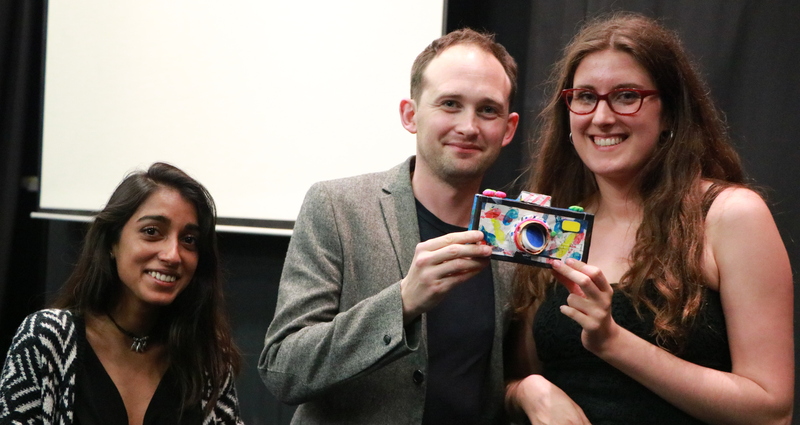 Rowan Mohammed receives the New Horizons Runner Up Prize from Yasmin Fedda. ‘A playful and positive portrayal with young non-binary people, this film opens up a conversation and insight into their experiences. 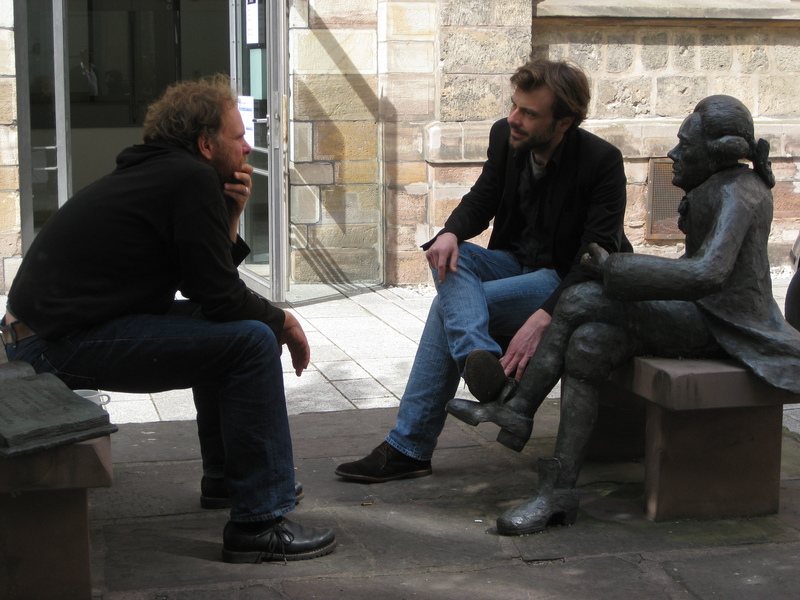 Through intimate conversations, and the directors own experiences inter-cut throughout the film, it left the audience wanting to hear more of the developing conversation. This film is a great starting point for Breaking the Binary, and in exploring new horizons in the discussions and experiences of identity.’ (Yasmin Fedda). 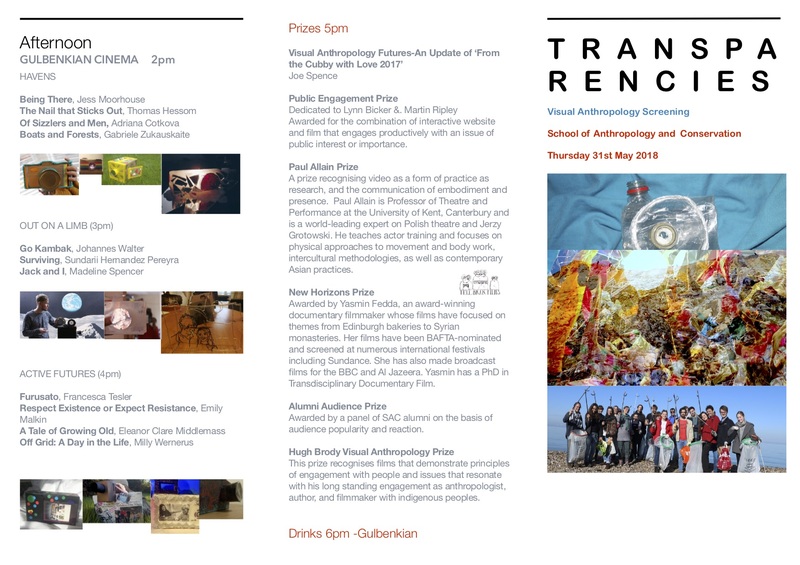 This award replaced our previous audience prize and acknowledges the importance of our alumni’s engagement and support of our students in making the next step in their journey as visual anthropological filmmakers and researchers. 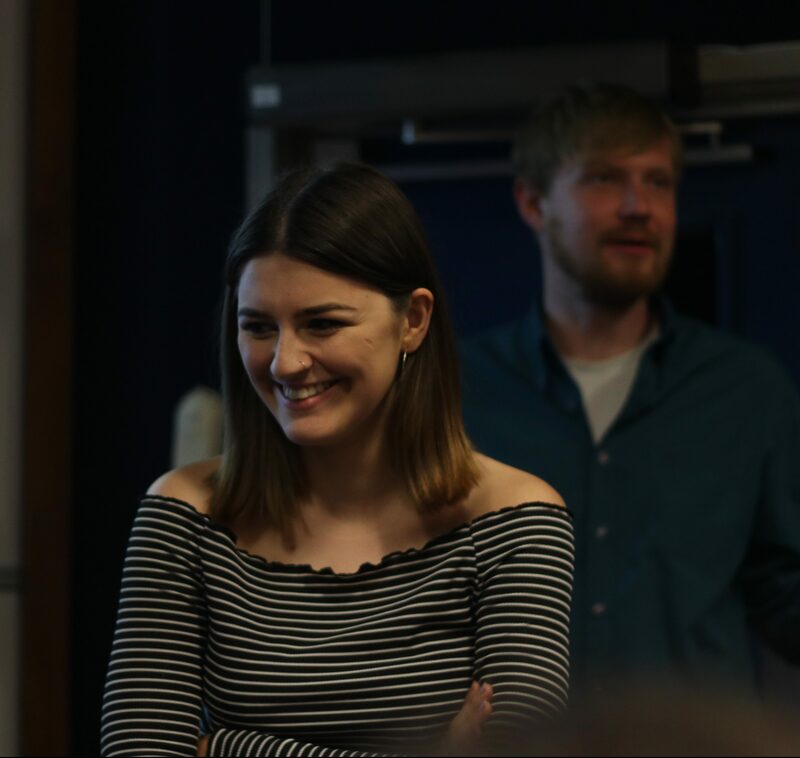 Charlotte Austwick won the Hugh Brody Runner Up Prize for her film ‘Welcome to the Country’ that was screened in Resolations 2015. She recently worked as a film co-ordinator for the Kenya Quest Expedition, a wildlife conservation and humanitarian aid expedition. 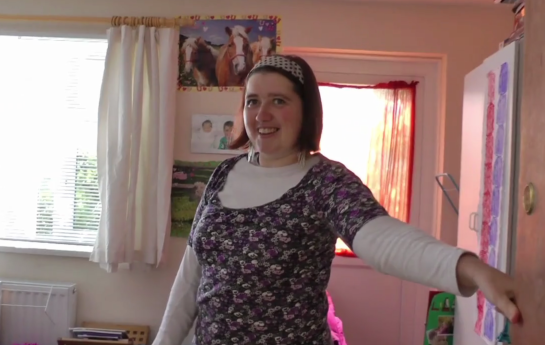 Hannah Evans screened her film ‘About Dad’ in Resolations 2015. After graduation she worked in the Campaigns Teams at Restless Development, the youth- led International Development Agency, drawing on her experience volunteering at Amnesty International UK. She left Restless to be a Team Leader with the Youth- Citizenship NGO Pravah, in India, supporting a team of young people in a community engagement programme in Rajasthan. She is now working as Programme Coordinator for Wikimedia UK- focusing on their diversity target to make Wikipedia a more diverse source of open knowledge. Alice-Amber Keegan graduated in 2015 and after teaching English in China for a year is now doing a funded PhD at Durham University on birthing centres and parenting. 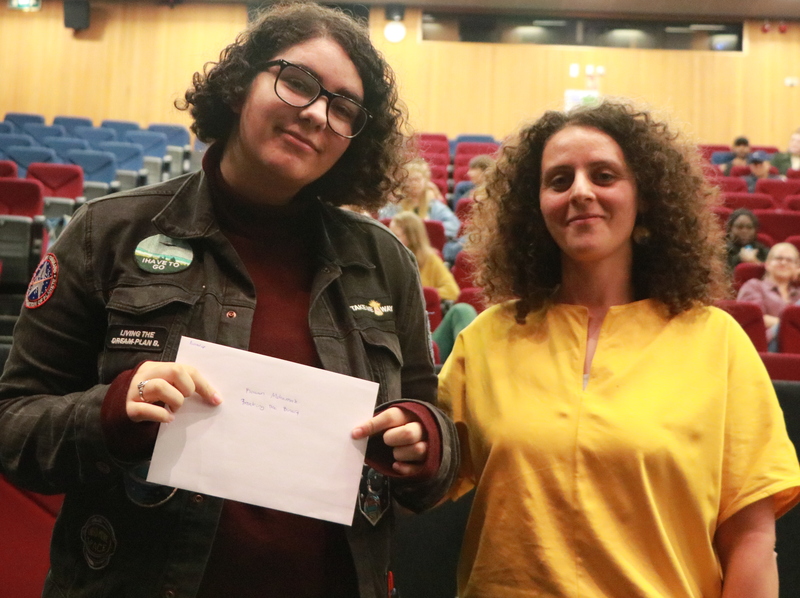 Sundarii Hernandez Pereyra receives the Alumni Audience prize from Charlotte Austwick, Hannah Evans and Alice-Amber Keegan. This old Super 8 camera will be engraved with the winner of the Alumni Audience Award each year. 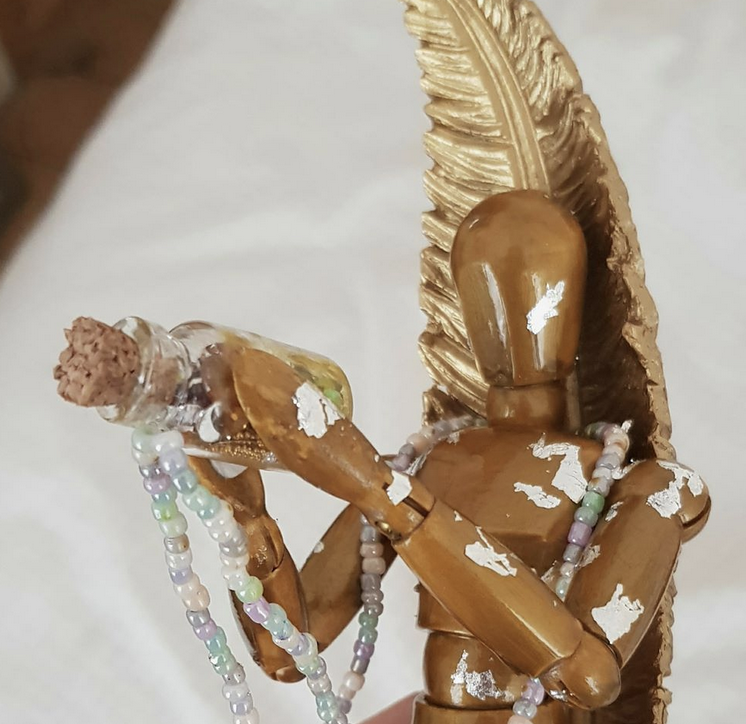 It symbolizes the vital connection to our Alumni network in supporting and inspiring our current students and helping develop the direction of visual anthropology at Kent. 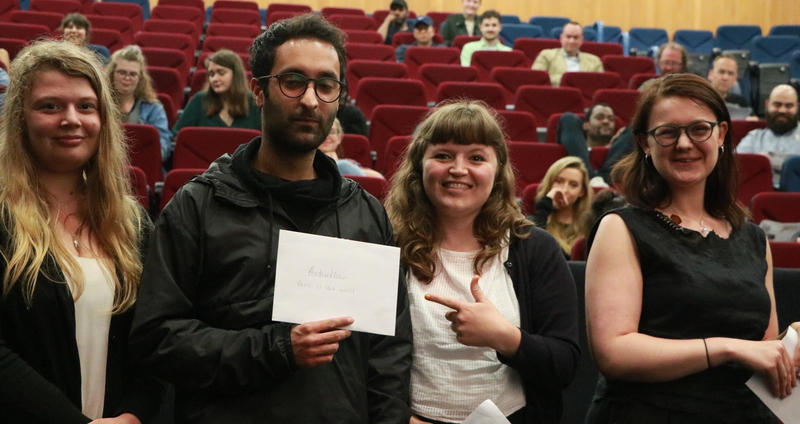 Aadam Khan receives the Alumni Audience runner-up prize from Charlotte Austwick, Alice-Amber Keegan and Hannah Evans. In November 2017 Professor Hugh Brody received an honorary doctorate at the University of Kent in recognition of decades of research and work with indigenous peoples. You can view his inspirational speech to graduands at the Graduation Ceremony in Canterbury Cathedral from 6.00. 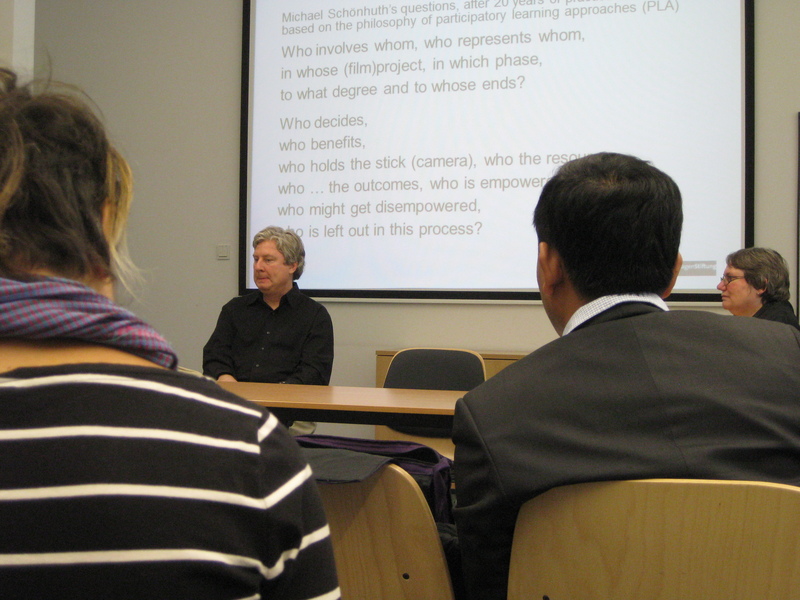 Professor Jim Groombridge, our Head of School, introduces him at the beginning of the clip. 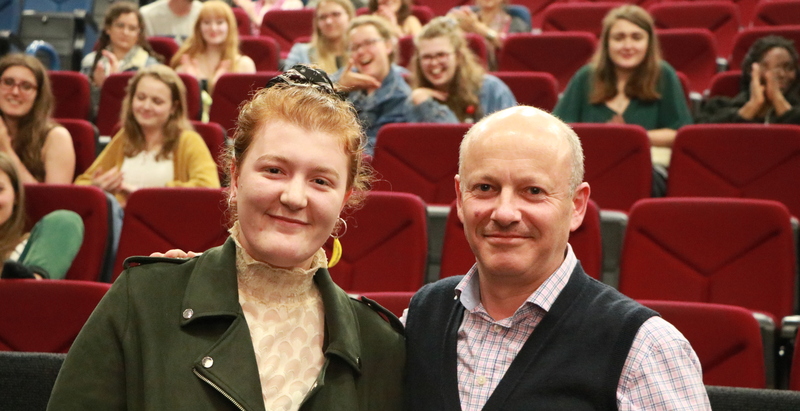 Unfortunately Professor Hugh Brody was not able to join us in person, but he viewed a selection of films and made comments on them. Dr Rob Fish, our Director of Research, stepped in to share Hugh’s comments and make his own comments of the day. He speaks about how the screening served as an introduction to the department and how the films speak to you in your own experiences. I choose this for its combination of strong film making skill and remarkable emotional power. It is wonderfully personal but also has large and wide resonances. I think that this is a remarkable achievement – and a tribute to everyone who is shown. The openness and honesty; and the skill with which it is shot and edited. There are many reasons for admiring this film. And one of them is that, for all the difficulties it spells out and owns up to, it delivers a message of hope. The film-maker takes us to lost time to make sure no more time is lost. Thank you for a great piece of work. 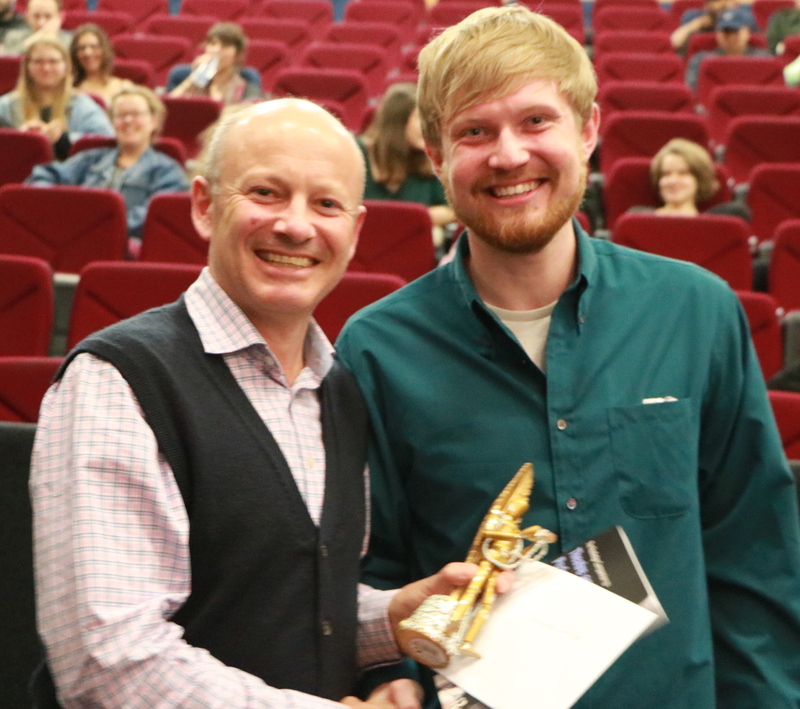 The prize was awarded by Dr Rob Fish, Director of Research in the School of Anthropology and Conservation. This is a beautifully made film that takes us to a culture in exile. It is rich with images and compelling sound. It delivers something special and surprising. The central interviews are straightforward and powerful. The feeling it gives for Buddhism, and for culture in exile, seem to me to be remarkable. There is also great subtlety in the film making. The pacing of interviews, the way the light plays, the mix of shots, and even the wonderful formal garden that so well symbolises the large being retained and caught for its essence in the small. As documentary film must aim to do – so we are reminded that film itself is the Japanese garden. This is a film that gives rise to and allows space for many kinds of thought and appreciation. A great treat to watch. Thank you! After a long and inspiring day, we all exited to the Gulbenkian bar for drinks and to continue the conversation. 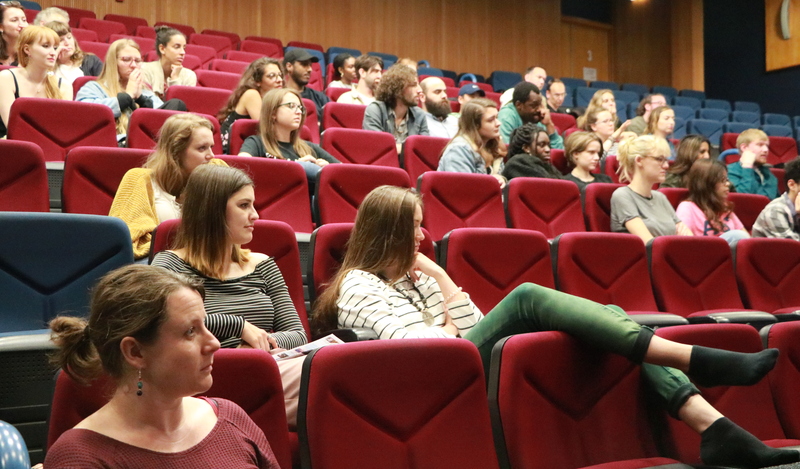 In December 2015 the School of Anthropology and Conservation was privileged to welcome alumnus Gonzalo Chacon for a screening and discussion of the award winning documentary ‘The Silence of the Flies’ for which he was co-executive producer. Guest contributor James Kloda reviews the film below. All images included are courtesy of NorteSur Producciones. This refrain from The Four Seasons’ song is both haunted and haunting, its stated serenity mere illusion. Similarly, Eliezer Arias’ documentary, The Silence Of The Flies, has a lingering disquietude hanging over its subject of multiple suicide, predominantly amongst young adults, in rural Venezuela. 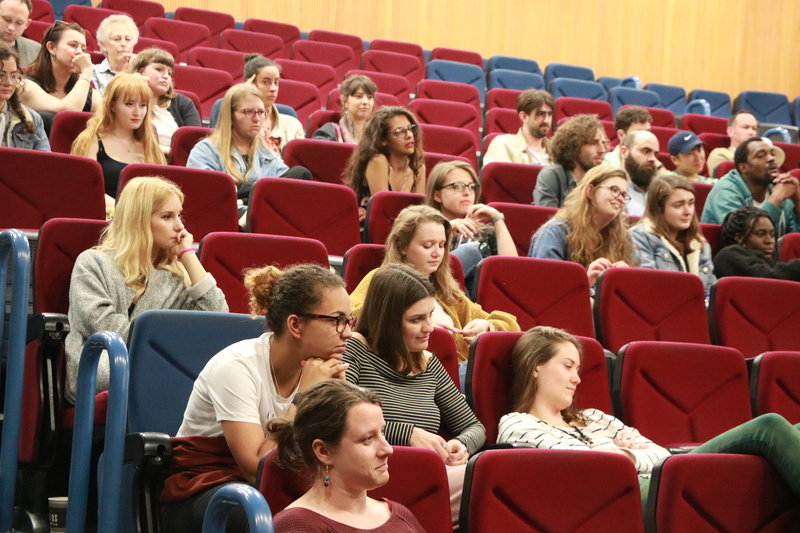 Organised by Dr Caroline Bennett, the School was delighted to welcome the film’s executive producer, MA in Visual Anthropology alumnus Gonzalo Chacon, to introduce the screening and participate in a Q & A session, proving to be an engaging, thought-provoking evening. Arias follows the stories of two ladies, Marcelina and Mercedes, whose daughters tragically took their own lives. One, María José, was a spiky, rebellious character who despised the inherent chauvinism of the society surrounding her, defiantly coming out much to the disgust of her father: the other, Nancy, remains far more enigmatic, any allusions to troubled personality reflected in the figure of her devoted sister, who herself tried to commit suicide when she was eight months pregnant. The dichotomy of silence is drawn thus: present absence and absent presence. And silence is very much the thematic heart of the film, for what typifies this seemingly phenomenological outbreak of self-sacrifice is the cloak of hush wrapped around it. Similar to Joshua Oppenheimer’s recent documentary The Look Of Silence, which followed an Indonesian optometrist confronting the perpetrators of his country’s 1965 genocidal purge, the precise challenge of Arias’ film is to dramatise that dichotomy of silence. Stories are heard in voiceover against images of their narrators, silent in frame but always staring into the lens, searching it, and us, for answers or a means to express their private tragedies. The effect of this disconnect is persuasive, a voice only able to be candid when disembodied from its speaker. The images themselves are desolate, vast pockets of empty space pushing compositional detail to the fringe leaving a void centre-frame: figures are almost exclusively shot in isolation and, when a group is seen together, it is always from a distance. Perhaps the most striking articulation of the palpable absence at the heart of these communities is of a frozen photograph depicting María José filling the screen as the sound of her brother scrubbing down walls prior to decorating scratches metronomically on the soundtrack: a face etched domineeringly in close-up to the tune of attempted erasure. The Silence Of The Flies is not always this gracefully lyrical. Indeed, some of its more stylised imagery seems too studied: dew drops fall from drooping leaves as Polaroids of victims float down streams. And whilst the lack of objective narration allows us to relate directly to troubled biography, it sometimes becomes difficult to understand whose story we are now following. Yet there is so much to tell, clamouring to get out to reach some form of resolution, that confusion is perhaps inevitable. With questions still so present and answers wholly absent, The Silence Of The Flies ends with a montage of faces now with eyes closed, meditating, perhaps beginning to find some kind of peace now that hush has been broken. For a brief moment, silence is golden. Ouzoud is a village undergoing rapid change. Once a quiet Berber community in the foothills of the Atlas Mountains, the last 10 years has seen it become one of Morocco’s major tourist destinations, receiving between 70,000 and 80,000 visitors a year. 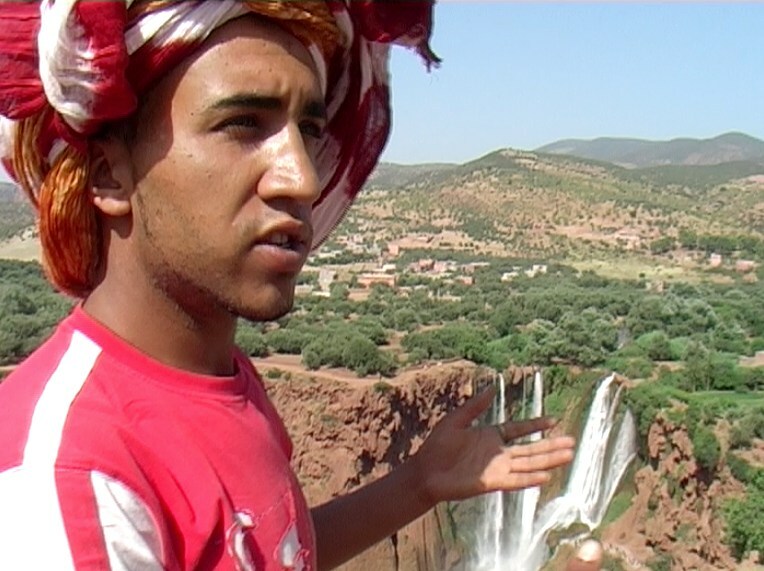 The main attraction: the Cascades d’Ouzoud, a spectacular set of waterfalls in the centre of the village, mentioned in popular guidebooks and advertised in Marrakech tour company windows. Two years ago, in the sweltering heat of mid-July, I traveled three hours from Marrakech in the back of an old Mercedes taxi to visit a Dutch friend who had recently bought a guesthouse there. But, upon my arrival in Ouzoud, I was surprised by what I saw. The waterfalls were beautiful and the landscape was impressive, but what about the large pile of smoldering rubbish? What about the dirt tracks that villagers used as roads? Surely, this was not typical of a major tourist destination that seemed to promise tranquility and natural beauty. I began to wonder how I can answer these questions and how I can better understand the complex relationship between tourists and locals. So, I returned to Ouzoud this spring to conduct fieldwork and produce a short documentary film as part of my MA dissertation project in Visual Anthropology, allowing me to explore these issues in further detail. My film, entitled Ouzoud, addresses many of these issues in the anthropology of tourism, complementing the written dissertation. But, it was also conceived as an experiment in ethnographic cinema, to find an engaging and appropriate technical, aesthetic and theoretical form that such a cinema could take. I began with the premise that all films, including documentaries, are “created, structured articulations of the filmmaker and not authentic, truthful, objective records.” Just like tourists seeking some form of visual authenticity and, at times, perhaps even believing they have found it, documentary film often pretends to show the truth when, in fact, it is portraying a heavily mediated version of reality. By making full use of thematic and dramatic editing techniques, I deliberately brought out the contradictions of tourism and the irony of many statements made by participants. 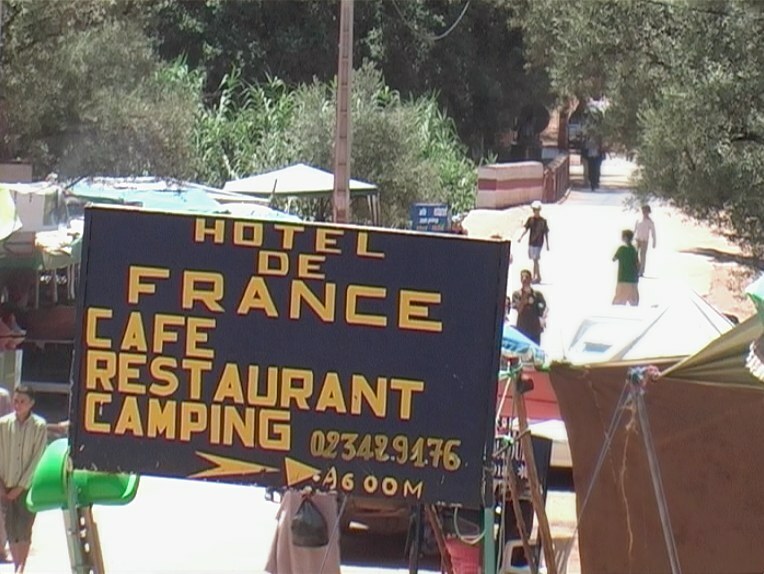 I edited the film to reveal, through a variety of interviews and scenes of Ouzoud, the hosts’ and guests’ differing conceptions of tourism (at times echoing the ironic undertones Dennis O’Rourke uses in Cannibal Tours). Imagery such as a young child riding a donkey as a modern car drives next to him and Doug exiting his shiny Land Rover followed by a shot of a beggar, combined with engaging music and dynamic editing create a film that makes powerful comments on the nature of tourism. 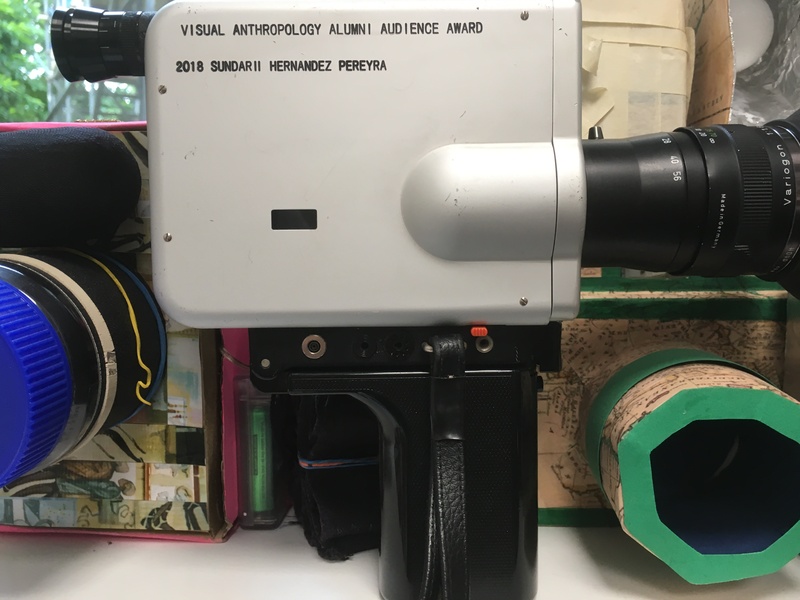 Ultimately, I share Jean Rouch’s enduring belief that ethnographic films should not be confined to the “closed information circuit” of academia, but that, ultimately, “ethnographic film will help us to ‘share’ anthropology,” through the use of such techniques. Hopefully, the film has done that. In the end, Ouzoud finds itself as a village at the frontiers of mass tourism, where a problematical course of change is currently unfolding before our eyes. Scattered with holiday homes, guesthouses and campsites, its markets sell souvenirs and postcards, while countless restaurants serve couscous and tagine to tourists. Even now, just months after leaving Morocco, I have learnt of a new, Western-style supermarket being built in the center of the village. But, most importantly, Ouzoud is just one of thousands of villages like it, undergoing similar changes all over the world. It is now up to visual anthropologists and other social scientists to document, interpret and present these changes in new and effective ways. Throughout my written dissertation, I asked how tourism in Ouzoud can be defined, how it broadly affects the village community and how hosts and guests perceive one another. Meanwhile, if tourism really does have the potential to catalyze such immense global change then, through the film, I have explored whether a more visual, even cinematic, study of tourism will help illustrate that. Watch the film below or on Vimeo here!